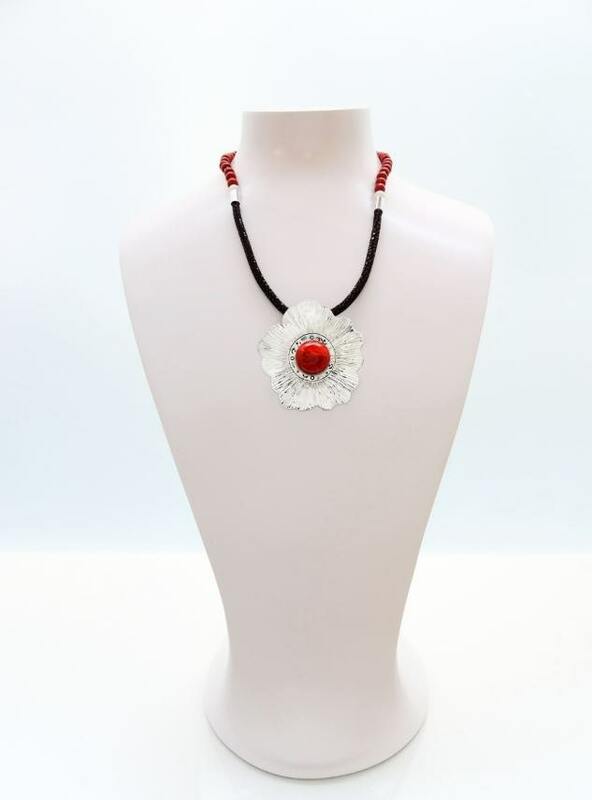 Coral Necklace with Silver, Sterling Silver Pendant, Hibiscus Flowers Pattern, Genuine Coral, Jasper Cabochon. Stingray Leather. Unique. 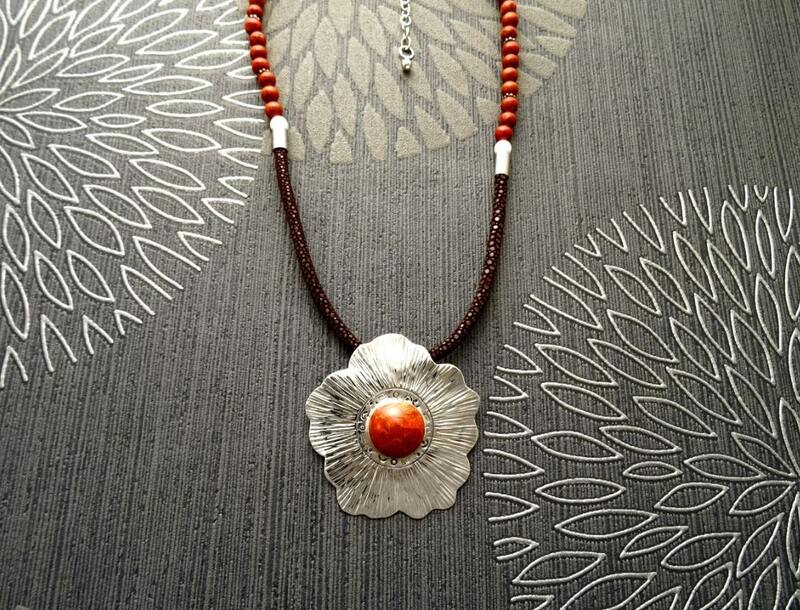 This beautiful Brown Stingray Leather Necklace is inspired by the Pacific Hibiscus Flowers. Simply stunning! 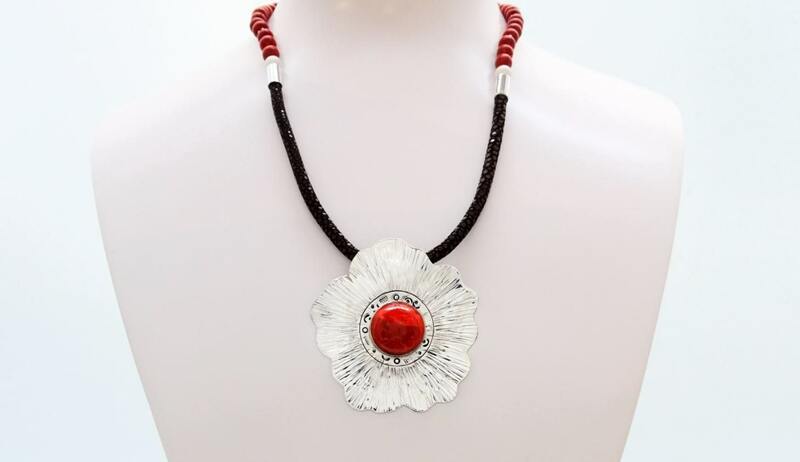 The necklace is composed of Genuine Coral Jasper Beads and Brown semi-rigid Stingray Leather, a noble material which is used in the universe of luxury. 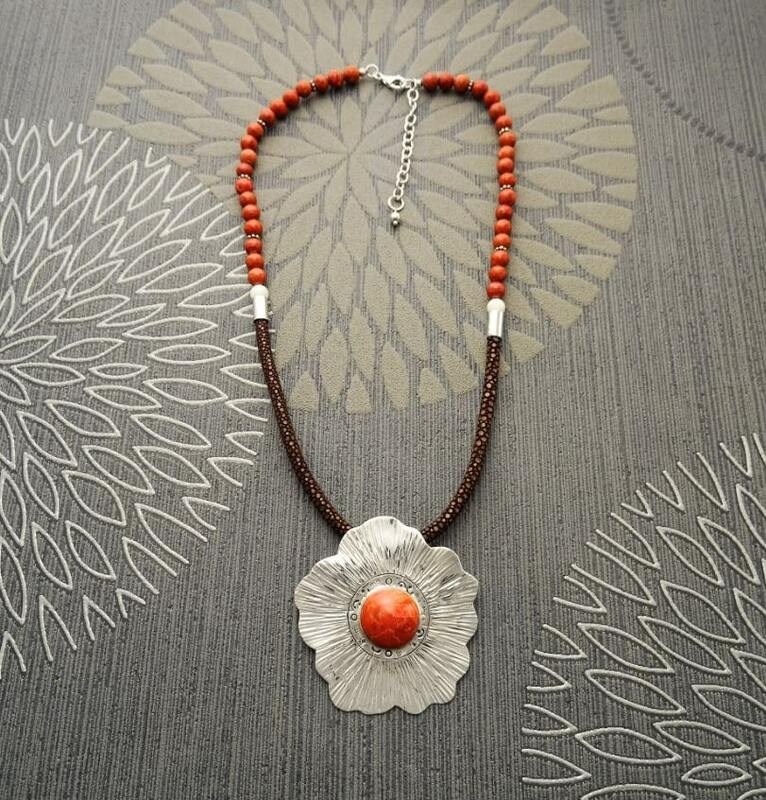 The Sterling Silver Pendant has a Beautiful Flower Pattern and set with an Elegant Genuine Coral Jasper Cabochon. 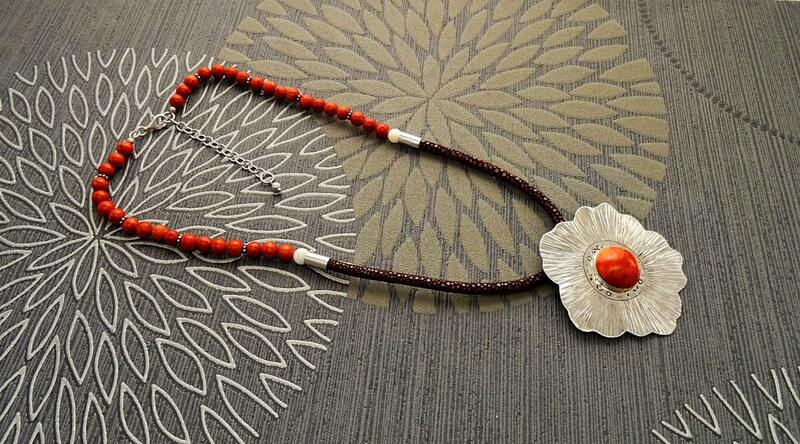 The diameter of the pendant is 5.0 cm and the diameter of the Coral Jasper cabochon is 1.2 cm. This necklace has a 5 cm Sterling Silver Chain Extension. Adjustable length from 42 cm to 47 cm (16 1/2 to 18 1/2 inch). Average silver weight: 12.0 gr. Excelente trabajo, muy fino, muy bien acabado, delicadísimo, de gran gusto, muy bien presentado, con gusto y elegancia. Además la entrega con mucha puntualidad y muy completos los papeles para las adunas, todo excelente. Precios razonables por la gran calidad.